Who is Eligible to Sponsor Australia Partner Visa ? 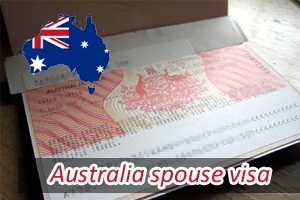 If an individual is married to a citizen belonging to Australia or New Zealand citizen, Australian permanent resident or plan to marry or they are in a relationship, they can apply and get Australia Partner Visa. The Australian Partner Visa applicants are required to be sponsored by the de-facto partner or the Australian Independent. Their age above 18 years and minimum period necessary for sponsorship are two years. A Satisfactory proof that the relationship or the marriage is genuine that you live together that the relationship is strong, and there is mutual commitment. They need to attend an interview, and also they required to provide documentation that does include photos as well as bank statements. While you are not in Australia, you have applied for a permanent partner visa, and then you are allowed to be in Australia or outside Australia when you receive a Permanent visa. In case if you have applied for permanent partner visa while in Australia, then you are required to be in Australia when you receive your permanent visa. We find most cases, the permanent residence cannot be offered for two years, from the date of application. However, individuals can receive a current visa without requiring to wait for two years, if they meet specific criteria, at that time. If the individual has been together (in a relationship) with their partner for five years or more (married or as a de facto partner). The person and their partner have been in a de facto relationship or married for two years and have children. Thank you so much. I owe my sincere thanks to you. Thank you for providing enough details. How to get the help initially to settle in Australia? It was my immense pleasure to be a part of Opulentuz. Thank You!! Am I benefited from my application, if I have a close family member in Australia? Thanks, hope somebody will sponsor me, anyone?